Wichita's diamond & natural stone experts since 1952. Since 1952, McMullen Jewelry has sold the finest selection of designer jewelry and natural gemstones in Wichita, KS. Our inventory includes a wide range of classic and contemporary pieces, spanning a range of styles and themes. We also offer professional on-site repair and appraisal for most pieces and designers. Are you looking for unique, quality jewelry for a special someone? Come visit the experts at McMullen Jewelry! We are a family-owned jewelry store in Wichita, KS that has provided customers with exceptional jewelry and services for two generations. We believe everyone deserves to walk out with a high-quality product, regardless of their income or the occasion. Our full range of products offers something for everyone—including one-of-a-kind pieces you won’t find anywhere else. In fact, if you’ve got jewelry that’s special or sentimental to you, we can even provide you with repairs, to make sure it maintains its integrity throughout the years. In addition to alluring jewelry of all types, we also carry one of the largest selections of loose stones in the area. Come check out our loose stone selection that features rubies, sapphires, emeralds and amethysts. We’ll help you find a stone you love, so you can create a one-of-a-kind wedding ring in Wichita, KS! 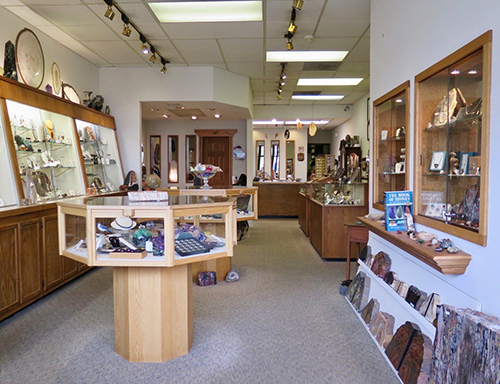 And, if you’re looking for something outside of the box, we’ve got jewelry and wood carvings that include tourmaline, jasper, jade and more. Stop by today and see why we’re well-known throughout the area when it comes to jewelry and designer accessories. We carry some of the most beautiful engagement rings in Wichita, KS. Our loose stone selection is large and diverse—the biggest in the area. We repair jewelry of all types, including high-end designer brands. Our wide selection also includes exotic jewelry, with jasper and tourmaline pieces. We’re heavily experienced and have been in the business for more than 60 years. Want Your Dream Piece of Jewelry? Our wide selection of jewelry has something for everyone. Visit us today and get that special piece you’ve always dreamed of for that special someone who means so much to you.